FSTC and CE4tF are very pleased to have participated in the Second International Conference on Arabs’ and Muslims’ History of Science and the eleventh Conference on the Space Sciences and Astronomy. 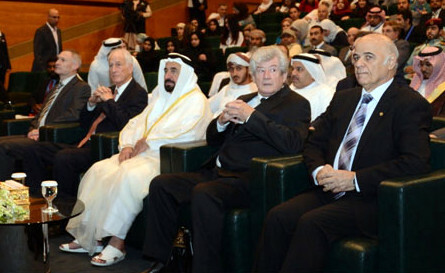 The conference was organised jointly with the Arab Union of Astronomy and Space Sciences as part of the scientific and cultural activities in the Emirate of Sharjah, designated as “The City of Sharjah, Cultural Capital of the Muslim World, 2014”. 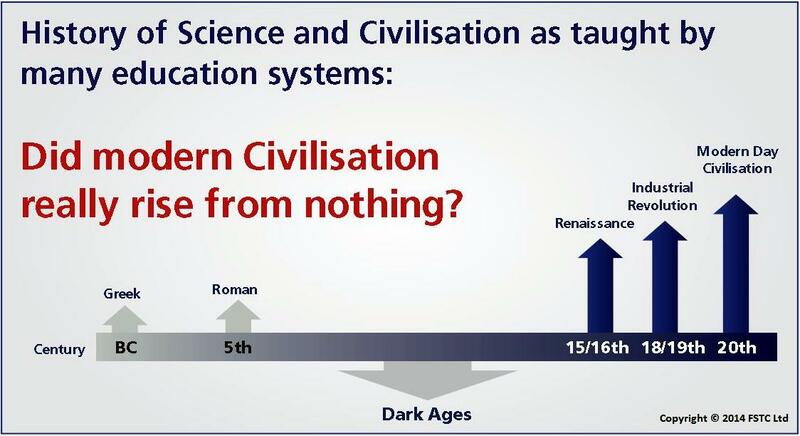 The Foundation for Science Technology and Civilisation (FSTC) and Curriculum Enrichment for the Future (CE4tF) are very pleased to have participated in the Second International Conference on Arabs’ and Muslims’ History of Science and the eleventh Conference on the Space Sciences and Astronomy. 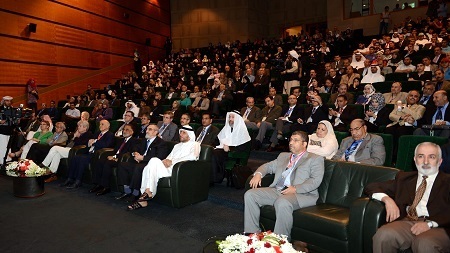 The conference was organised jointly with the Arab Union of Astronomy and Space Sciences as part of the scientific and cultural activities in the Emirate of Sharjah, designated as “The City of Sharjah, Cultural Capital of the Muslim World, 2014”. The aim of the conference was to foster communication between scientists and researchers interested in the history of science, and to reflect the impact of Muslim scholars on the progress of civilisations and their scientific aspects. 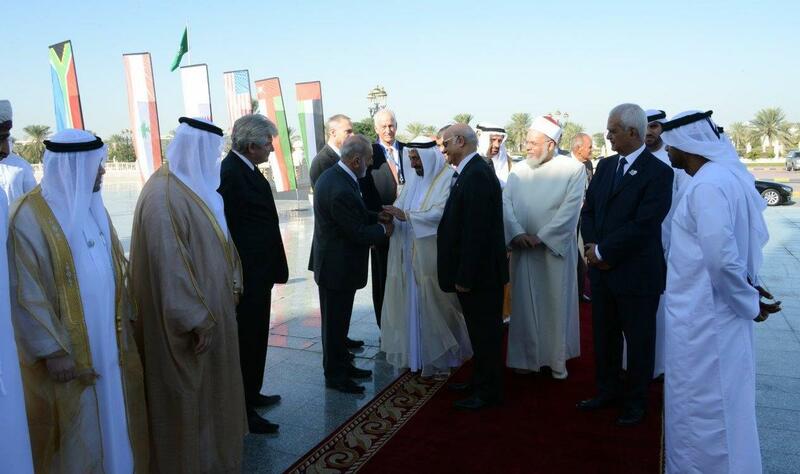 The conference took place over four days, 8th to 11th December 2014 at the University of Sharjah. More than 420 scientists and specialist researchers from 43 countries attended as guests, delegates and speakers. There were also graduate students, space sciences enthusiasts, representatives from the United Nations, a number of universities and institutions concerned with the study of the history of sciences located in the UK and Arab region, the European Space Agency (ESA), the US National Aeronautics and Space Administration (NASA), and the Arab Union for Space Sciences and Astronomy (AUASS). A range of lectures, workshops, special sessions and exhibitions took place during the four days of the conference as well as a visit to the new planetarium being built in Sharjah. The conference was opened with a fascinating lecture by Professor Jeffrey Hoffman of the Massachusetts Institute of Technology (MIT) and a former NASA Astronaut. His session, entitled ‘What went wrong with the Hubble space telescope, and how did we fix it’ seemed to inspire and motivate attendees. 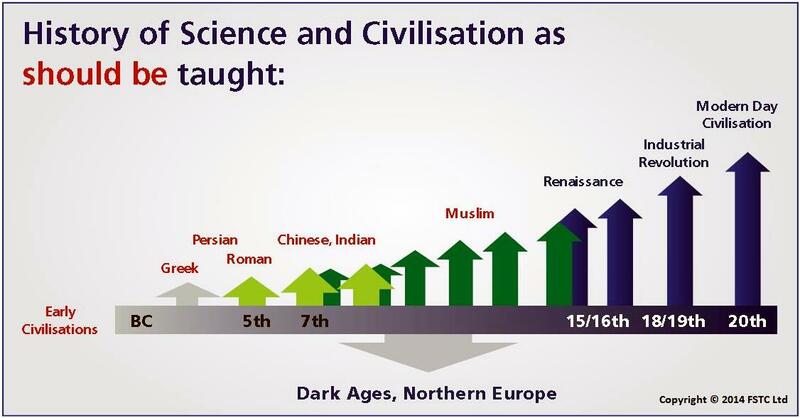 This was followed by a special half day session on ‘The Relevance of the Sciences and Innovations during Muslim Civilisation to the Present World: How to present them in Schools and Public Domain’. This session was jointly prepared by the organising committee of the Second International Conference on Muslims’ and Arabs’ History of Sciences alongside the Foundation for Science, Technology & Civilisation (FSTC). Dr Hussein M El-Mehdi (University of Sharjah) and Professor Salim Al-Hassani (FSTC) chaired the committee. It included contributions from a number of world renowned scientists and educationalists. Professor Salim T S Al-Hassani who chaired the session, later presented an informative and interesting session on ‘Clocks of the Muslim World from Charlemagne to Makkah’ with video clips to demonstrate the various mechanisms involved. Mrs Rukhsana Yaqoob an independent Educational Consultant in the UK and a Board member for Curriculum Enrichment for the Future, CE4tF, led a session on ‘Discovering the shared past to inspire our future generations’. This built on previous discussions during the session and shared examples from four different schools in the UK where by discovering the shared past our future generations of pupils, as well as parents and teachers, have been inspired, and demonstrated how a range of resources can effectively be used to do this. Recently, FSTC and Effat University formed a partnership to develop and disseminate teaching resources for the use of their university lecturers, based on content and research from FSTC and the pedagogical expertise and experience of Effat University in tertiary education. Starting in 2013 and culminating in 2014, FSTC worked with a number of lecturers from Maths, Chemistry, Biology, Physics and Engineering to enrich their existing syllabi with examples from Muslim heritage. Effat University has gone on to incorporate some of these enriched syllabi into their subsequent courses. Both lecturers and students received the resources very positively. Dr Mohamed G. Shehata, Professor in Control Engineering at Effat University in Saudi Arabia delivered a session ‘Project Based Course in Electrical Engineering Program Using Syllabus Enriched by Muslim Heritage’ which outlined the numerous positive influences to be gained from teaching a culturally enriched syllabus. 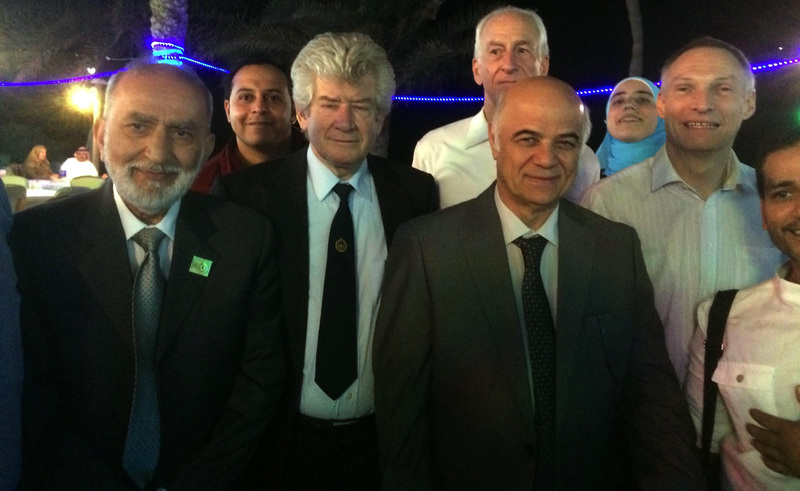 Dr Shehata was accompanied by several of his students, who made a special trip to Sharjah for the conference. These students briefly participated in Dr Shehata’s session by sharing their thoughts on experiencing the enriched lessons as students. The conference was officially opened, on the second day, by His Royal Highness Dr Sheikh Sultan bin Mohammed AlQasimi, Supreme Council Member and Ruler of Sharjah. 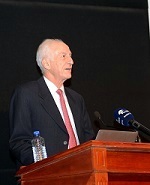 Chancellor of the University of Sharjah, Professor Hamid M Al-Naimiy, thanked the Ruler of Sharjah for sponsoring the conference, adding that the UoS since its inception has made science and scientific research an essential part of its academic programme in terms of content and humanitarian heritage. A call for highlighting and giving credit to the Arabs and Muslims for formulating the basis of human civilisations from the East to the West. Many of their contributions in the sciences extend until our present day to constitute the basis of numerous specialisations and contemporary scientific knowledge worldwide. 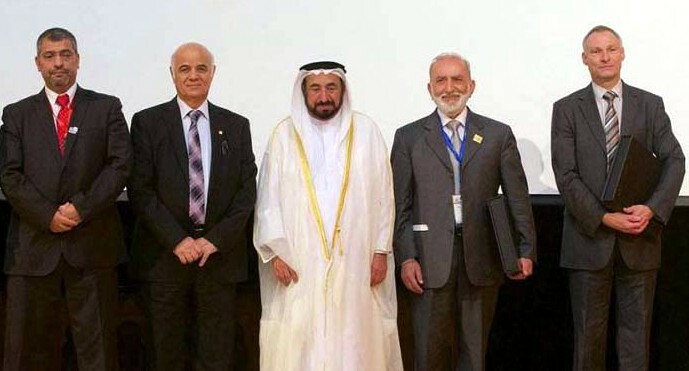 An urge for Arab and Islamic universities to introduce elective courses that encompass the achievements of Arab and Muslim scientists in order to encourage students to look towards the future and become active participants in it. The need to support the youth leadership from among the upcoming generation to continue the responsibility of highlighting the achievements of the Arab nation. In addition to establish scientific organisations to confront the challenges of the future. A call for convening a conference on the history of the sciences on a regular basis, and for looking into holding the conference in other Arab countries. For more information about the conference please check University of Sharjah website.